Although you may do the bulk of your accounting work on your desktop or laptop, you’ll have access to many of the site’s features on your smartphone. Your home page displays both an abbreviated version of your browser-based dashboard and a list of recent transactions. You can view, edit, and build new customer, vendor, and product or service records. Snap a photo of a receipt to document an expense and look up or create invoices, estimates, and sales receipts. Record payments, view critical reports and add notes. Of course, your mobile data is always synchronized with the site itself. Still doing your accounting manually? You’re spending unnecessary hours and experiencing needless frustration. Talk to us about QuickBooks Online. Did you know you can do much of your accounting work and accept customer payments on your smartphone? Let us introduce you to QuickBooks Online. Are you often away from the office? 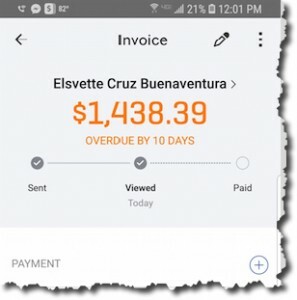 QuickBooks Online lets you handle accounting tasks from anywhere there’s an internet connection. We can tell you how. Does your manual accounting system make it hard to keep track of customers and inventory? QuickBooks Online can organize and manage both. Contact us.